Saturday Brunch ... Munch Munch!! Tried a couple of new dishes this weekend. 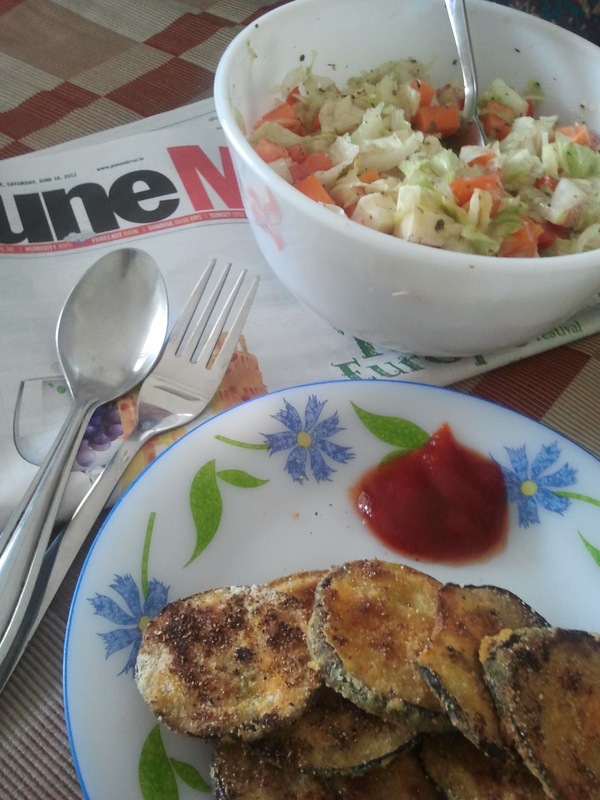 Wanted something which is tasty but healthy .. a tough combination. 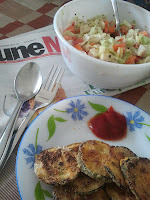 So decided on this menu for a lazy Saturday brunch - A simple Salad and Aubergine Kebabs. It turned out to be quite a surprise because it was actually very tasty - never thought salads could really taste so good ... :) Here's the simple recipe. 1. 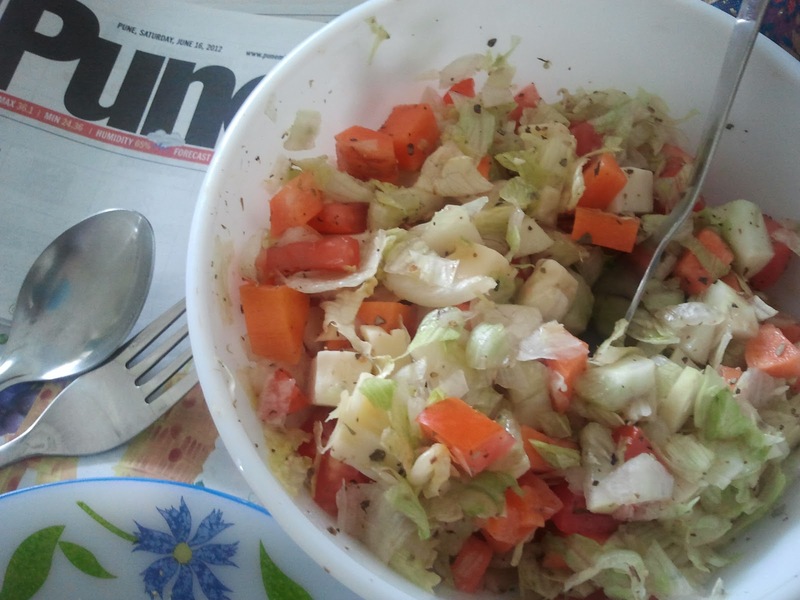 Nicely cut salad vegetables like lettuce, cucumbers, carrots, tomatoes and capsicum. 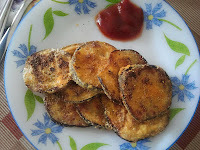 Take a large Aubergine and cut it into slices - not too thin. Place this in water so that they do not start turning black. Mix together mixed dal flour (available in markets - known as 'bhajani' here in Maharashtra) with salt and chili powder as per taste. Place a flat pan on the gas and put little oil into it. Let it heat up nicely. Now take one aubergine slice at a time and place it in the mixed flour. The flour should stick to the slice from both sides.